It's a shame two kids burnt this down, hopefully security doesn't increase on vacant buildings around Cardiff after this. Did anyone get inside while it was empty? 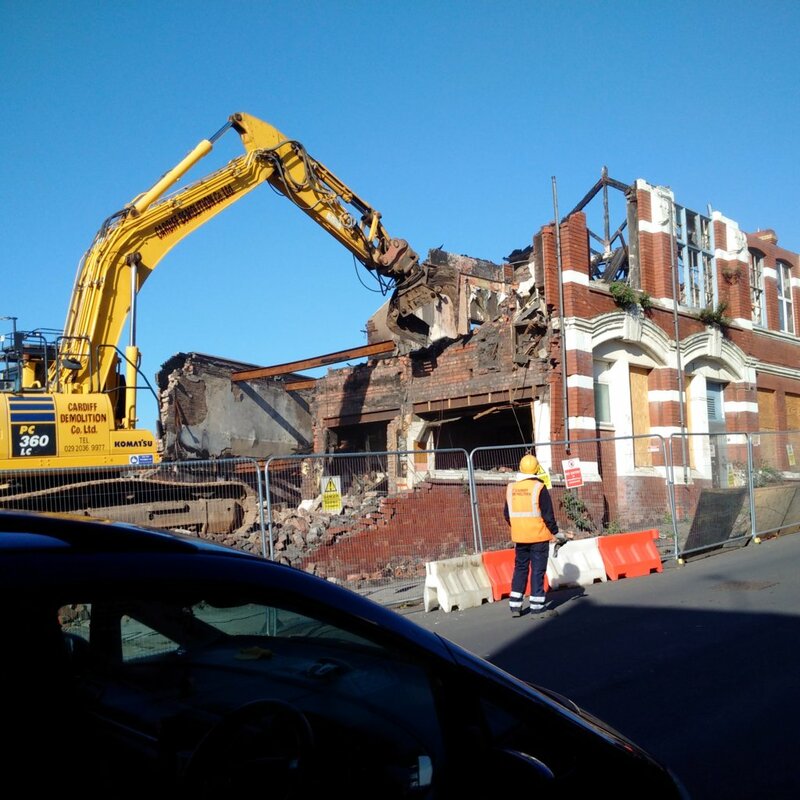 Did u take that pick of cons club being demolished? I have video footage if you want to see it. I was working opposite the week it burnt down. I had long chat with demo people. They are the one who demolished Laser nightclub in Newport. Sad that one was, took a church with it. Yh that was. unfortunate where can I find that video ? I dig it out later mate. Just had a Look at TOPCAT. Some good pics. Shame about the vids. As your local will have to meet for an explore. Done over 300 place in last year.